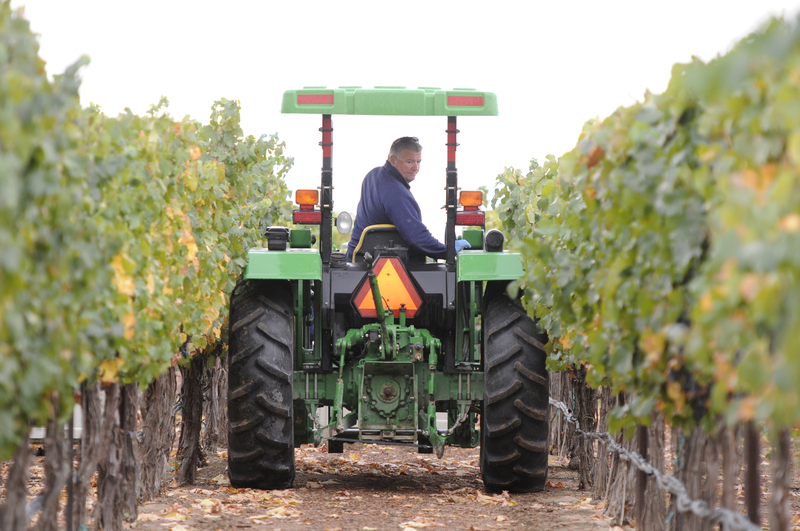 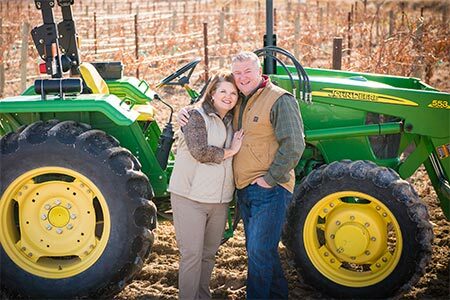 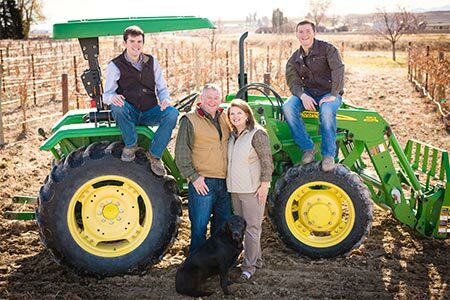 Gregg Alger on tractor at Huston Vineyards. 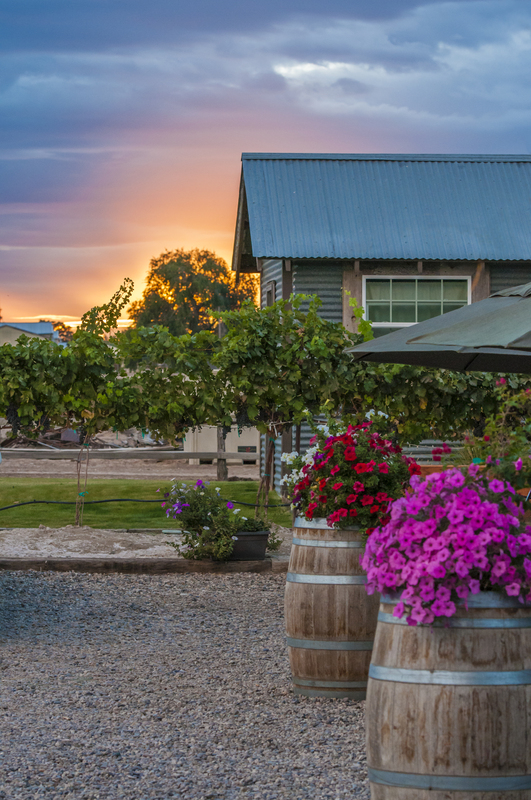 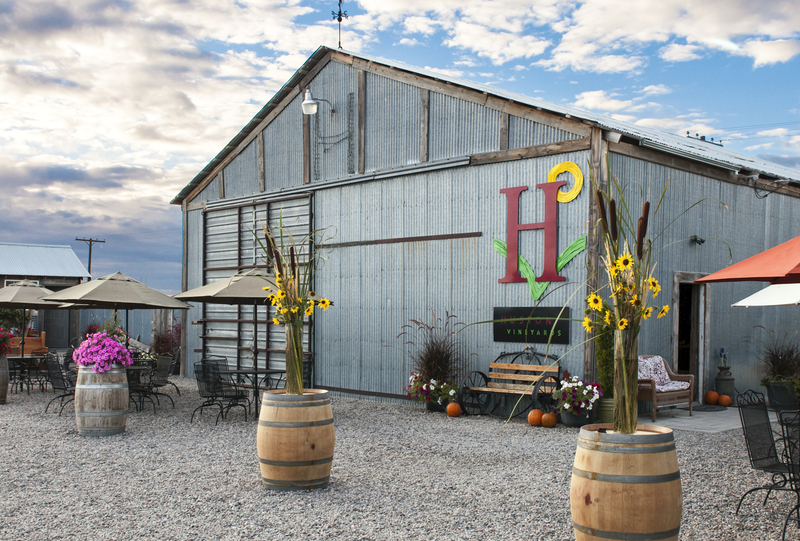 Huston Vineyards tasting barn at sunset. 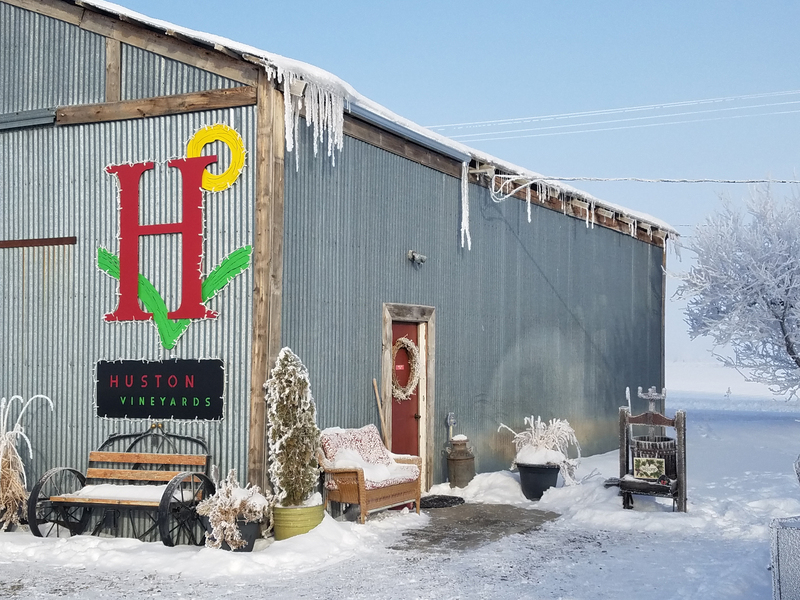 Huston Vineyards tasting barn in winter. 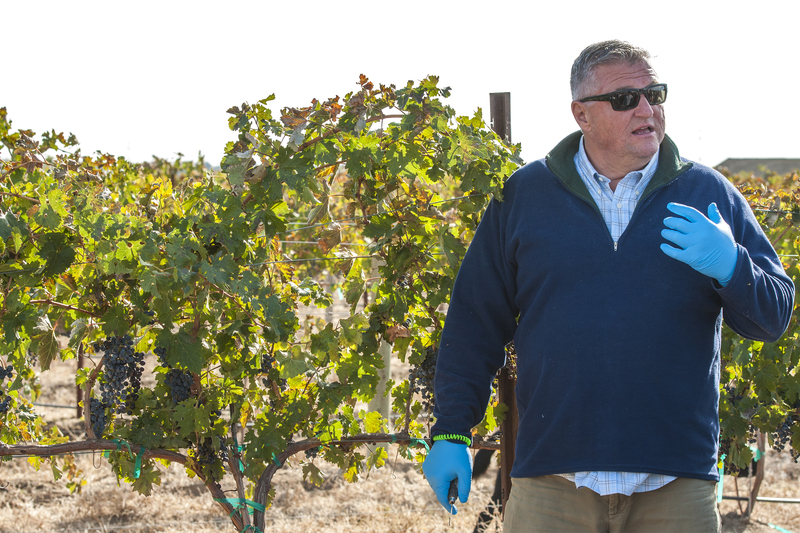 Gregg Alger explaining harvest methods in his vineyards. 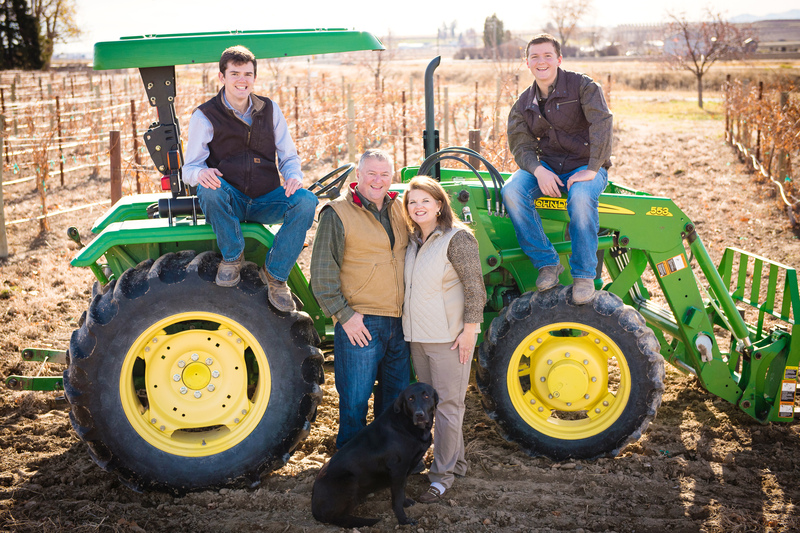 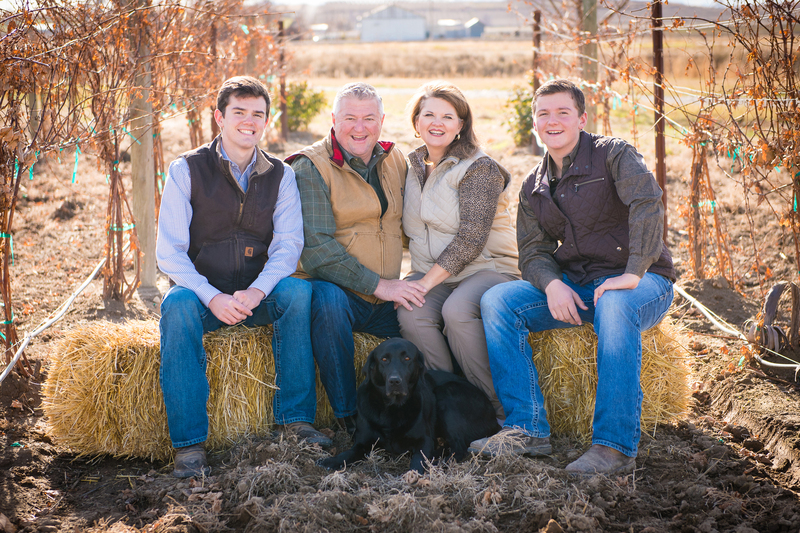 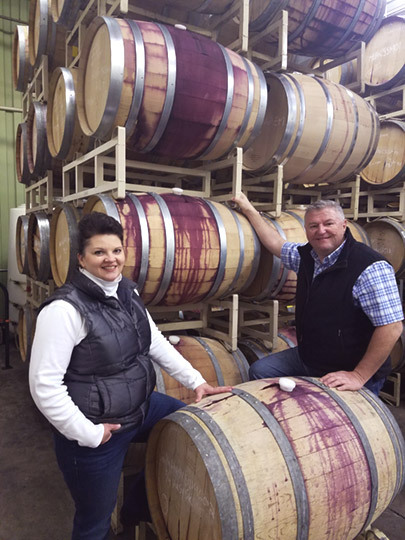 Jacob and Josh Alger in the vineyard.